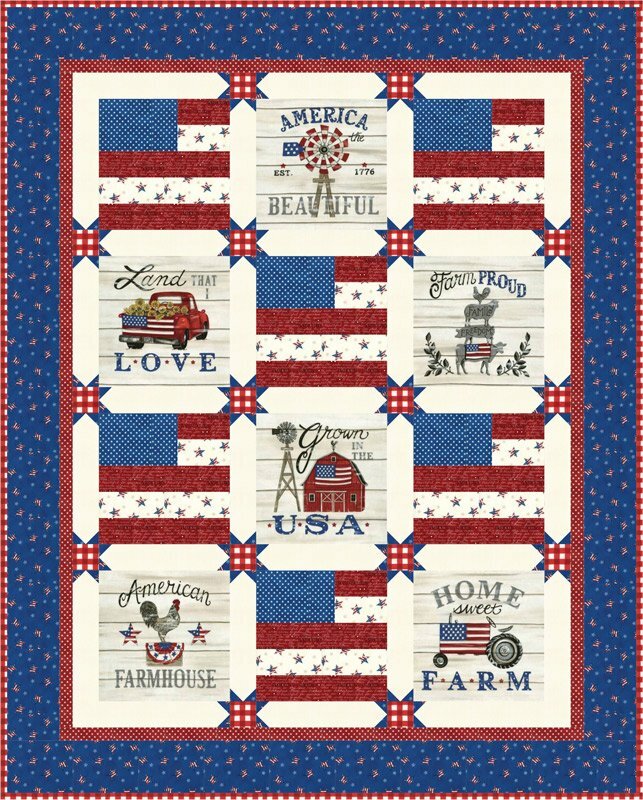 American flags and classic Americana panel turns into a 48"x60" throw. Perfect for the patriotic family. This kit is called Land that I Love and it is deigned by Deb Strain.